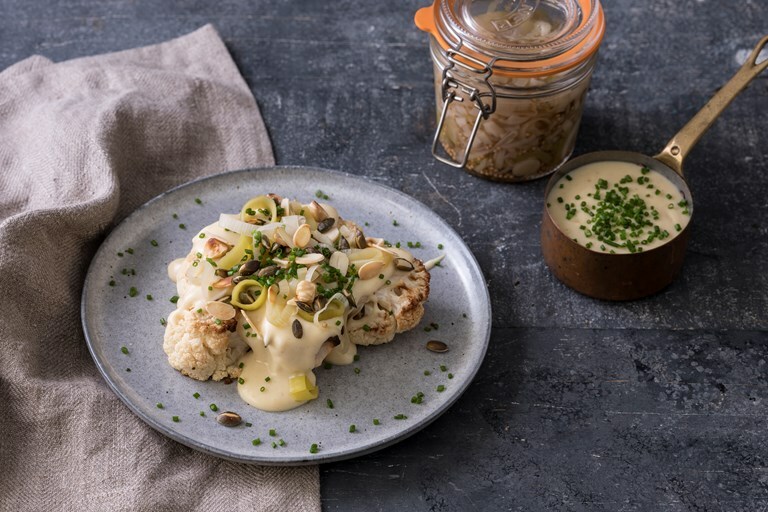 This roast cauliflower recipe is served with a cheese sauce made with heady smoked cheddar for a winning combination, reminiscent of cauliflower cheese. Pickled leeks add a real zing to the dish to cut through the richness. You can serve this dish with some crispy bacon to garnish, if desired – feel free to omit this if you want to make the dish vegetarian.